It’s hard to believe, but summer is basically over. H starts her sophomore year of college on Tuesday after Labor Day, but is already on campus, welcoming incoming freshmen. Last year she went backpacking for her freshman Orientation Adventure, and most of the kids in her group are still her closest friends. 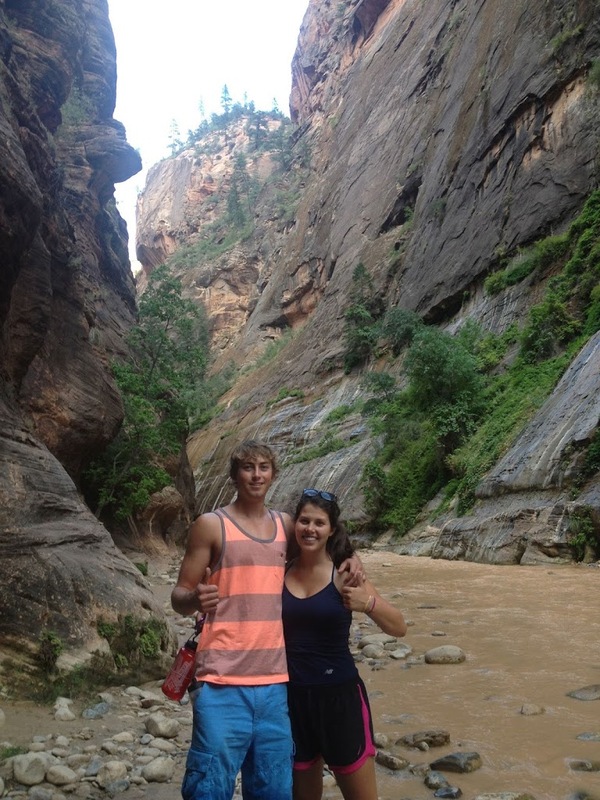 This year she will help lead a backpacking/kayaking trip on Catalina Island. So after a couple of meals with her, where she was obviously biding her time until she could escape to go meet her new friends, we realized it was time to go. So we kissed goodbye, took a couple of last photos together, and watched her walk away. Second surprise…I didn’t cry! I actually felt excited for her and honestly, a little relieved. We had raised an incredible young woman who was ready to take on the world, (or college, at least), and I was proud and excited for her. I know there are lots of parents out there who are dropping off their kids for their first year away. Whether there are younger kids still at home, or if the nest is emptying, there are many changes in store. As the parent of an only child, it was a tremendous change for me. 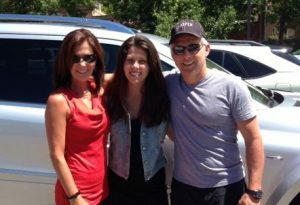 Here are some of the things I learned or observed after my only child left for college. MAKE YOUR IMPORTANT SPEECHES BEFORE MOVE-IN DAY…AND DON’T STAY TOO LONG! Some kids might welcome your help with unpacking and moving in. Not ours. She wanted us to carry the heavy stuff and that was about it. We teetered on the edge…It was so hard for me to pull back and let her unpack on her own. We also caught ourselves giving last minute “advice” which I’m sure sounded to her like Charlie Brown’s teacher, “Wah, wah wahhh wahhhwahhhh”. But it was evident to us when it was time to leave, so our goodbyes were loving, genuine and quick. H’s roommate’s mom ended up staying TEN DAYS after moving her daughter in, and not surprisingly, roommate’s transition to college was difficult, tearful, and she transferred away the following semester. But DO turn around and catch a glimpse of her walking away…and remind yourself that this is what you’ve raised her to do…spread her wings. Your communication with your child will definitely change. They are navigating their new world filled with new responsibilities, new friends, and new distractions and most likely, telephone calls to mom and dad will not be on the priority list. And when they do pick up the phone to actually make a call, it’s usually to vent or ask for specific help, like how to refill prescriptions or to please send them their favorite cowboy boots that they left at home. When you’re aching to see her face, it’s easy to make a quick Skype call at night while she’s online, and you can get the visual fix of her smiling mug. When they do call in a tizzy because they are having a seemingly horrible problem, whether it’s relationship, academic, friends, or some other meltdown, and you instantly put yourself in “Mommy Saves the Day Mode”, slow down, listen, ask questions, and let them get it off their chests. Nine times out of ten, they’re venting, and as soon as they hang up the phone, go skipping off with their friends without a care in the world. This was really difficult for me. I was the problem-solver. Anytime she had a problem, I wanted to figure it out, and show her the way. The first couple of times I tried to do that over the phone, she became defensive and exasperated, and finally said, “Mom, I don’t need you to give me any advice, I just want to get it off my chest.” Not that you will never get involved…when she had a nagging medical problem that she kept complaining about but wouldn’t actually make an appointment with a new doctor, I had to step in and convince her to take care of it. But it’s actually very satisfying when you see your child navigate through a problem herself. That’s when you realize you are not the Coach anymore, and gladly become the Cheerleader. Your child is legally an adult, so the grades will not automatically come to you. You also will not be able to call her doctor to find out about her health. The grades thing was a pretty big adjustment to my husband; since he was the one paying the bills, he felt like he should be getting her “report cards”. And speaking about paying the bills…the statements will come to your child. So the communication between you and your child will be important in those aspects. I would recommend having an understanding with your child before dropping them off at school about what your expectations are. Flying home after leaving H in California my mind was jumbled with all kinds of memories, fears, hopes, and worries. Watching her walk away from us to her French placement exam, I didn’t see a young woman going to college, I saw the 5-year-old I dropped off at Kindergarten, who told me that she was afraid but was going to “Face her fears”. That became a mantra throughout her life, and I realized I needed to follow her lead. I thought about my fears of losing control over her life, losing her in my life on a daily basis, and reminded myself that this is what we raised her for. To be strong, independent, and her own person. Then, miraculously, I felt a huge relief. Suddenly, I realized something that I hadn’t thought of amid all the planning, packing, and worrying. 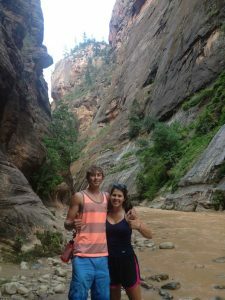 I was going to have the freedom to do things in my life that I wanted to do…travel, take classes, read, and spend time with the wonderful guy I married. We are living the life we dreamed of for the last few years, and even though I miss her, it’s a pretty darn good life. I think this is the last thing that really hit us. And it didn’t really hit us until this summer. During spring final exams, when she was exhausted, stressed, and sleep deprived, we got a few more phone calls than usual. She was SO excited to be coming home, to see “mommy and daddy”, and to sleep in her own bed. Then she got home, and I think that lasted about 36 hours… during which she probably slept about 24. She texted and skyped and spoke with her friends scattered all over the country, did the obligatory dinners with us, then, after three weeks of family togetherness, flew up to the Catskills for her summer job as a camp counselor. After the job was completed, we had four days together before she happily left to go back to school. She drove from Colorado to school in California with a friend…big step for Dad! J and I realized that even though “home” is with us, it’s not where she needs to be right now, and it’s a good thing. She is discovering so many new things, about herself, about the world, about other people, and I wouldn’t have it any other way. This year, I have some of the same feelings. I still miss her. I still think about her and wish I could see her face more often. But now that I know what to expect, I have no worries whatsoever about what the year will hold…for all of us. This was/is very cool to read. Good for you, all!